Circus Oz returns to the Big Top at Melbourne's Birrarung Marr this winter, in a brand new premiere show that is set to fire up the city's chilliest months! The theme of this year's Circus Oz extravaganza is about being a model citizen in the lucky country - audaciously unpacking the myths of modern Australia. Acrobats will back-flip off a giant vertical clothes peg, become tangled in an oversized cotton reel, roll bowling balls haphazardly, unzip giant zippers, balance on a house of oversized collapsing cards and fly high in an enormous pair of aerial undies. 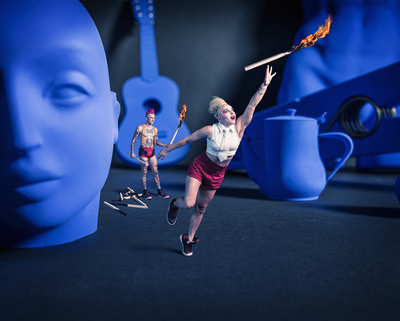 Exposing circus skills in unconventional ways, Model Citizens will present stunning group acrobatics with a twist: a ten-pin roué cyr act, quirky ball juggling, diving through giant scissors, hard-core hula-hoops and pyjama escapism. If last year's Circus Oz tour is anything to go by, Model Citizens will be a show not to miss over the winter school holiday break. Expect a raucous mix of acrobatics, humour and theatrics in what is guaranteed to entertain Melburnians and tourists alike. 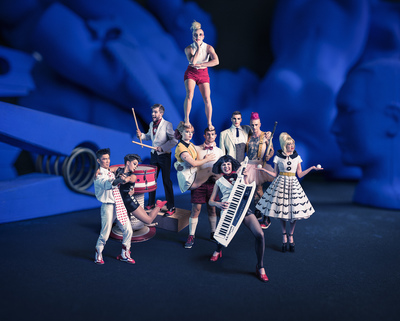 See Model Citizens at The Big Top at Birrarung Marr opening 20 June, and let the multi-talented Circus Oz crew entertain you as they unlock the myths of modern Australia. Book: ticketmaster.com.au or call 136 100.